Roman Products Ltd. brings you a range of high quality vapour open construction products. Silic8 products are developed and manufactured in the UK and have undergone thorough independent testing. It is our aim to provide a range of 21st century construction products that are suitable for dealing with a number of complex issues within our historic built environment, as well as progressive environmentally responsible solutions for our current and future construction. A highly versatile and adaptable one-coat lime plaster product. Suitable for new build, sustainable building and historic building alike. Fibrelime can be applied in a single coat from 3-30mm thick to a wide variety of building materials, internally or externally. Fibrelime is available in tubs for convenience (approximate weight 24kg) Please contact us for the best prices on orders of more than one pallet. These ultra fine pigments have excellent dispersion in paints coatings plasters and numerous other applications. 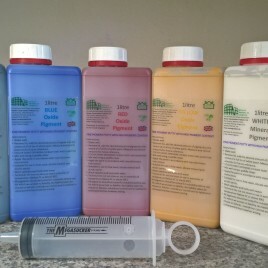 Can be added to limewash, mineral and acrylic paints and used to dye or tint plasters, renders and coatings. Colours can be mixed to give a huge spectrum of colours. The White mineral pigment can also be used to improve white paints and brightness. 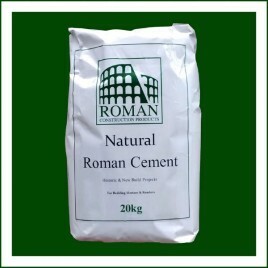 Natural Roman Cement 20kg, SINGLE BAGS COLLECTION ONLY In 1796 the Reverend James Parker Patented Roman cement which became highly desirable for its long term durability. After 1824 Roman cement declined due to the introduction of Portland cement which, in the present day, is burnt at fusion temperatures and can have some undesirable effects on historic buildings. NRC has a better compatible strength with historic masonry and renders due to the special processing of gaultstone and the lower kiln temperatures used. Please note bags are dated with manufacture date. It is known that NRC has a considerably longer shelf life than other cements. 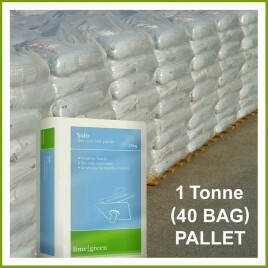 Natural Roman Cement 20kg, 64 bags on a full pallet. Usually delivered within 7-10 days. Please contact us prior if you have restricted access, curbside delivery. NRC Stores for longer than OPC and Lime and has many advantages. Can be mixed with NHL and Lime Hydrate to customise your mix. See here for more information In 1796 the Reverend James Parker Patented Roman cement which became highly desirable for its long term durability. After 1824 Roman cement declined due to the introduction of Portland cement which, in the present day, is burnt at fusion temperatures and can have some undesirable effects on historic buildings. NRC has a better compatible strength with historic masonry and renders due to the special processing of gaultstone and the lower kiln temperatures used. Please note bags are dated with manufacture date. 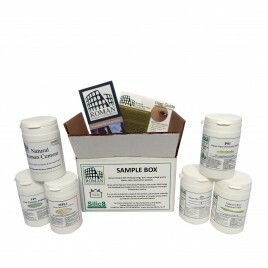 It is known that NRC has a considerably longer shelf life than other cements. Natural Roman Cement 200kg, 10 bags delivered on half pallet In 1796 the Reverend James Parker Patented Roman cement which became highly desirable for its long term durability. After 1824 Roman cement declined due to the introduction of Portland cement which, in the present day, is burnt at fusion temperatures and can have some undesirable effects on historic buildings. NRC has a better compatible strength with historic masonry and renders due to the special processing of gaultstone and the lower kiln temperatures used. Please note bags are dated with manufacture date. It is known that NRC has a considerably longer shelf life than other cements. - Exclusive to Roman Construction Products, patent pending - Made to order, please allow 3-5 days for dispatch. Repair, don't replace! This simple to use kit can help to resolve a number of common issues with Lime Lath paster that occur over the years. Damaged keys and weak areas of ceilings, or damage caused by services and installations can all be repaired easily. Fully tested for bond strength and vapour permeability. MPL1 is a mineral based plaster primer which is designed to control many high suction backgrounds whilst still remaining vapour open. MPL1 can also be used to consolidate problematic surfaces and substrates. The primer’s course gritted surface provides a key for a new suitable plaster to bond to. For thin skim coats you may want to consider our FP1. MPL1 has a high bond strength and is the only plaster primer on the market to be independently tested for vapour diffusion to reassure you that water vapour is not trapped in the fabric of your building. MPL2 is a mineral based plaster primer which is designed to control many high suction backgrounds whilst still remaining vapour open. MPL2 is a flexible Vapour Open Fine Particle Mineral Primer, similar to our MPL1, but with a finer grit. 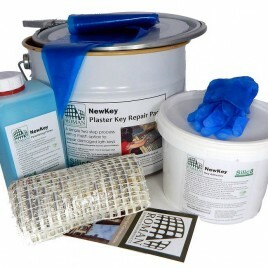 Use for stabilising or consolidating surfaces prior to plastering, priming or repair. MPL2 is the only plaster primer on the market to be independently tested for vapour diffusion to reassure you that water vapour is not trapped in the fabric of your building. PS1 is a mineral based fluid or surface treatment which is designed to control many high suction backgrounds whilst still remaining vapour open. PS2 can also be used to consolidate and stabalise problematic surfaces and substrates and provide additional bond strength prior to the application of MPL1, FP1 or Silic8 Adhesive. 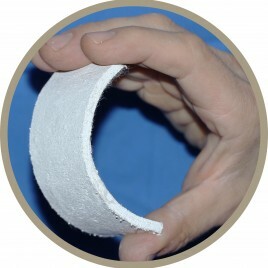 PS1 can also be use to help protect plaster or brickwork while remaining vapout open. The Silic8 range is the only plaster primer on the market to be independently tested for vapour diffusion to reassure you that water vapour is not trapped in the fabric of your building. PS2 is a mineral based fluid primer or surface treatment which is designed to control many high suction backgrounds whilst still remaining vapour open. PS2 can also be used to consolidate and stabalise problematic surfaces and substrates and provide additional bond strength prior to the application of MPL1, FP1 or Silic8 Adhesive. 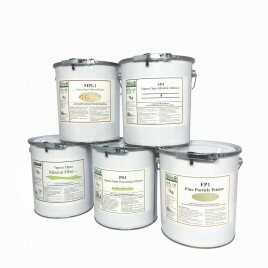 PS1 can also be use to help protect plaster or brickwork while remaining vapout open. The Silic8 range is the only plaster primer on the market to be independently tested for vapour diffusion to reassure you that water vapour is not trapped in the fabric of your building. Developed to be straight forward and reliable with a high quality finish; it is particularly compatible with Silic8 MPL1 primed surfaces. Applied as normal it can be worked to a smooth finish in one coat; with no waiting for a first coat to go off, this makes it faster to apply so that more wall area can be completed in a working day.